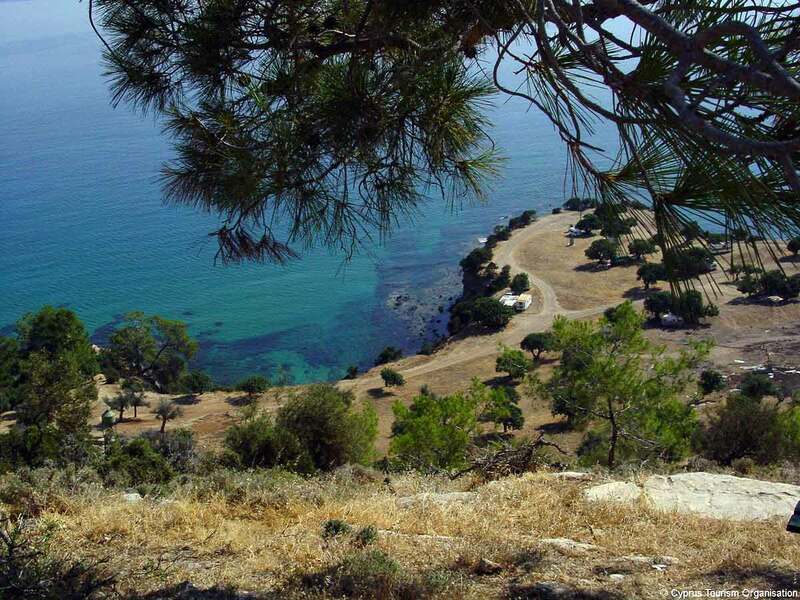 Akamas peninsula is the biggest national park of Cyprus. An unspoilt area, with unique flora and fauna, deserted little sandy beaches waiting for you to discover, wonderful sandy beaches where sea turtles lay their eggs, and a unique gorge awaiting for you to discover and walk! 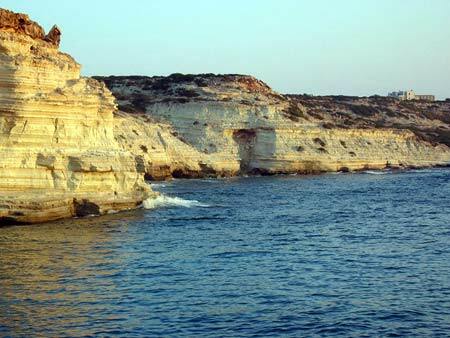 Akamas peninsula is the far western point of Cyprus, ending at Cape Arnaoutis, the distinctive "snout" of Cyprus to the west. Its boundaries to the south are Peyia and Agios Georgios Peyias, while to the north ends at the outskirts of Polis Chrysochous. The peninsula covers an area of about 230 square km and it is totally un-inhabited, with unsurfaced roads which many times are rough or very rough, only accessible with Jeep style, four wheel drive vehicles. 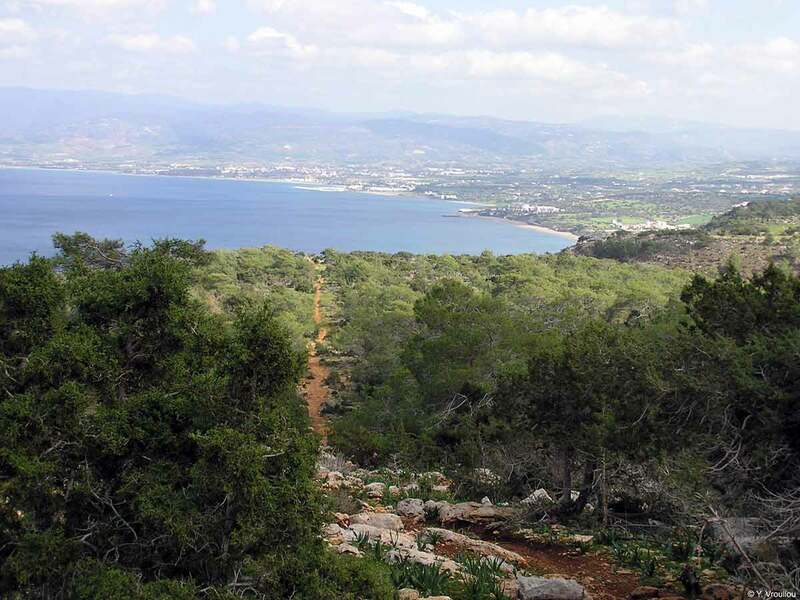 As this is a wilderness, Akamas peninsula is not suited for people who do not like exploring the nature, after all this is all you can do here. 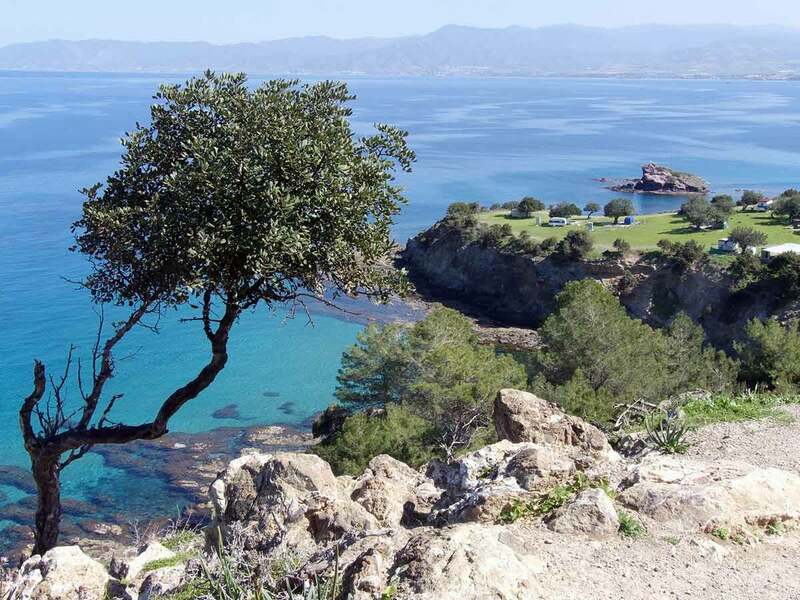 If you do like this however, Akamas peninsula is a paradise and can keep you busy for days..
Take with you water and snacks if you plan to stay for long, there is no place to buy once you enter the area. 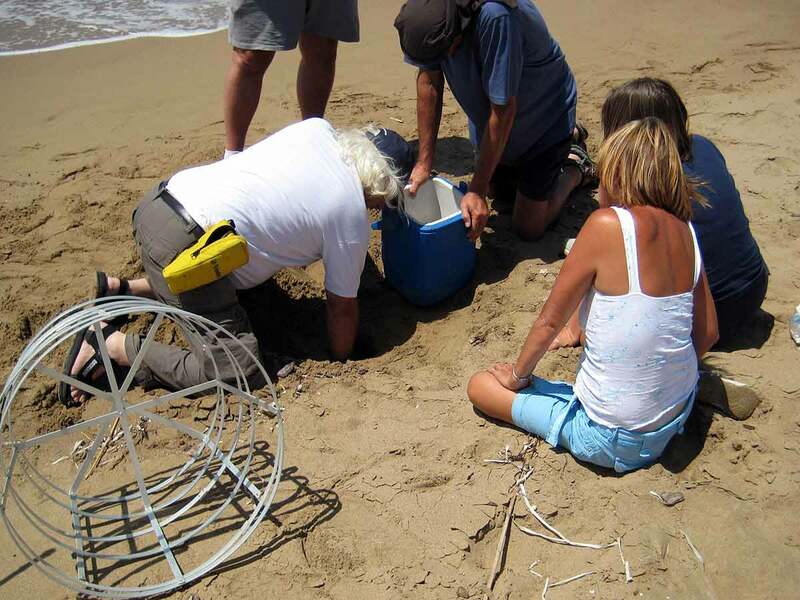 If you visit the turtles nesting beaches, please do your best not to disturb them. 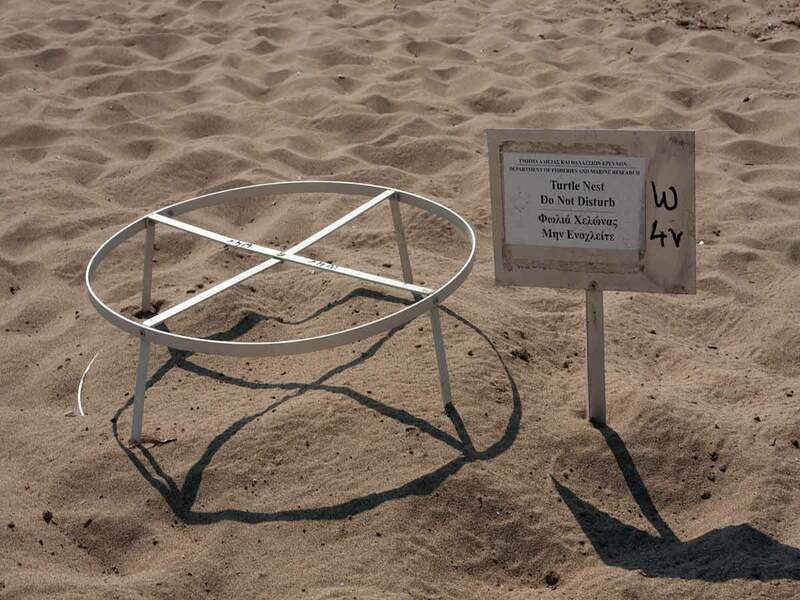 The Fishery State Department do their best to find and mark every nest, they are protected with an iron cage and a warning sign. If you see this, then please do not approach, and, of course, under no circumstanses touch the turtles nest. Please do not leave garbage behind. There are many snakes in the area, so be carefull.